What will the moving costs be? When you take estate agent fees, legal fees, removals and all other associated costs into account it begins to stack up. Plan your budget now so that you’re not caught out further down the line. Budget planning is a service offered by Your Move, so be sure to book an appointment with one of our Financial Consultants to help you calculate these costs. It is a legal requirement that all properties in Scotland are marketed with a Home Report. A Home Report is a pack of three documents that give buyers a clear picture of the condition of the property for sale: the Single Survey which details the condition of the property; the Energy Report which gives the property an energy efficiency rating; and the Property Questionnaire which outlines other key information such as the property’s council tax band. 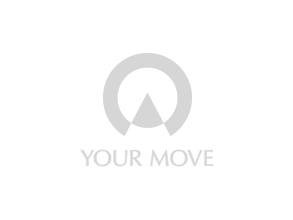 Your Move can organise a Home Report for you. If you want to know more about Home Reports, click here. Although ‘conveyancing’ sounds like boring legal stuff, it’s essential. It’s the process by which the property is legally transferred from you to the buyer. It can be a confusing process and you need a solicitor to deal with this for you by drawing up the disposition. Your Move can introduce you to a solicitor and offer a no sale no fee conveyancing service with a guaranteed fixed price to keep everything easy. To learn more about conveyancing, click here. You should advertise you property as ‘fixed price’, ‘offers over’ or ‘offers around’. ‘Fixed price’ means the property is sold to the first person to offer the advertised price. ‘Offers over’ means you sell to the highest bidder. ‘Offers around’ indicates that you’re willing to negotiate. Make sure you get the property details just right. First impressions are hugely important when selling property, so stage your home to get the very best photographs. You can view tips from our home staging guide by clicking here. Once the photos have been taken, review them with your agent and choose the best images. It’s worth considering professional photography too. Your Move can help you with professional photography, and it isn’t as expensive as you might think. The internet is a powerful tool when selling property, with almost all buyers now starting their search online. Your agent should list your property on Rightmove and Zoopla at the very least. Making your property stand out online in the first few days is key, so consider enhanced online packages like premium listings and video tours too. Finally, don’t underestimate the personal touch – make sure you share your property from your own Facebook and Twitter profiles. Potential buyers need to be able to picture themselves living in your home. The most common things to put buyers off are dirty kitchens, scruffy exteriors and dirty bathrooms. Make a list of all the things that made you fall in love with the property and the area, and be sure to point these out to potential buyers. You can view our tips on preparing your home for a viewing by clicking here. Potential buyers view your home. You can ask an agent to show buyers around, or you may decide to do this yourself. Be ready to show buyers inside storage spaces like cupboards and lofts. Your agent should give you thorough feedback after every viewing, and you should consider acting on any feedback from buyers before future viewings. An interested buyer will request the Home Report. You must provide a copy of the Home Report whenever a buyer requests it. A buyer will note their interest. An interested buyer’s solicitor will be in contact with your estate agent to note their interest. Once this has been received, the property cannot be sold without allowing the interested buyer a chance to put in an offer. Your solicitor will notify you of offers by phone and in writing. There are a number of factors to consider when weighing up the offers: the amount you are being offered, the financial position of the buyer, the buyer’s chain if they are selling another property, and your own timescales. The buyer’s mortgage lender will arrange to have your home surveyed. This merely confirms that the property is worth what you are being leant. Your buyer may also choose to arrange an independent survey of your property in addition to the Home Report and Mortgage Valuation. The buyer’s solicitor will check the Land Registry and Local Authority information for planning history, and information about any potential developments around roads, drainage and mining near the property. This is called ‘performing searches’. Both solicitors will agree on the written negotiations of the sale - the 'missives'. This can only be done once the buyer’s mortgage offer is received. When the missives are agreed, this is known as 'conclusion of missives'. Both parties are now legally bound to the sale/purchase. Both solicitors will agree a date for the exchange of contracts and for completion (ie move out day). You can now set a provisional moving day, so you can start getting quotes for removals. Unfortunately, that means you have to start packing too. Let everyone know your address is changing. Your utility companies will need to take meter readings and cancel contracts. Then, don’t forget everyone else – the bank, your employer, family and friends. You can even ask the Royal Mail to organise a mail redirection. Your solicitor draws up the disposition (a document transferring legal ownership). The buyer's solicitor will draw up the Standard Security (the deed securing the loan). The balance of the purchase price is payed to your solicitor. Once the money is received, the seller’s solicitor will tell the estate agent to release the keys to the property. The property is finally sold. High five! Selling a house can be a rather stressful time, so we've created this short guide to help. Useful common words and phrases you will come across when selling a house.